Xbox Music on the web is online as on today July 1, 2013. The online music service that most resembles the recently launched Xbox Music app for Windows 8.1, provide users access to their Xbox Music Collection online. Additionally, you can browse the entire Xbox Music library by using filters to sort music by artists, albums or songs. Users can also search for music online, as well as create and manage playlists. In addition, synchronization tools can be used to sync them to Windows devices, such as desktops, tablets, and smartphones and Xbox 360 devices. 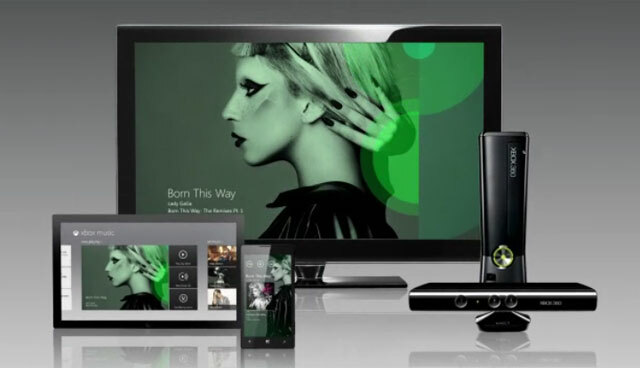 The Web-based Xbox Music service is available at http://music.xbox.com, through all latest web browsers, requires a Xbox Music Pass subscription. New users can try out the service for free for 30-days. But a credit card or a PayPal account is required for sign up. After 30 days, Microsoft will automatically move you to a monthly subscription unless you cancel it. In addition, it seems to be available in the United States exclusively, but more countries will most likely get it in the coming weeks. With an Xbox Music Pass, you can now access your Music Pass collection and playlists on your PC through the top Web browsers, including Internet Explorer 8+, Firefox 18+, Chrome 24+ and Safari 5.1+. The Web version will also support Flash Player 11.0+. Microsoft notes, that the redesign of the Xbox Music interface, will be coming to 22 countries when Windows 8.1 launches later this year. Adding, “updates and new features to the Web version of Xbox Music will be made available in the coming months as well as on Xbox One when it launches later this year,” microsoft said. Update 07/02: Xbox 360 Special Edition Chrome Series Gold Wireless Controller, which features the transforming D-pad, is now available. It’ll sell for about $55 and will be available in the U.S. exclusively at GameStop and Microsoft Store locations, in addition to select regions worldwide. There are currently three other colors available in this series: silver, blue and red.